Daegu To Become One of the Three Global Musical City in 2019! The Daegu International Musical Festival, the only musical festival in Korea that has lasted for 12 years, will open on June 21. With stronger global contents for performance and tourism, Daegu will prove itself as a global musical city that is recognized by the world alongside New York and London. □ The 13th Daegu International Musical Festival (DIMF), which will begin on June 21, will be joined by about 20 works including foreign invitations, creative support musicals, special performances, and student performances. ○ For foreign invitations, the festival plans to invite a performance that surpasses the previous year’s closing musical “Flash Dance” to attract passionate musical fans to Daegu. In addition, the Creative Support category will also showcase select works that combine artistry and popularity that will create a new sensation in the Korean creative musical scene. ○ Musical Turandot as well as colorful special performances at the DIMF will also increase the brand value of the festival and promote a win-win relationship between regions through musicals. ○ The student performances, which will be provided for free of charge to all audiences, are a great opportunity to see musicals performed by students who are studying musical across the country. In addition, the winner of the Harmonia Award for Acting will be given a chance to train on Broadway. □ The DIMF will further upgrade the Daegu-made creative musical Turandot, which is the first Korean musical to export licenses to six European countries, and expand its license exports to countries in Asia as well. ○ The Daegu-made musical Turandot was selected as a project to support the vitalization of local performance art by the Ministry of Culture, Sports and Tourism in 2010. 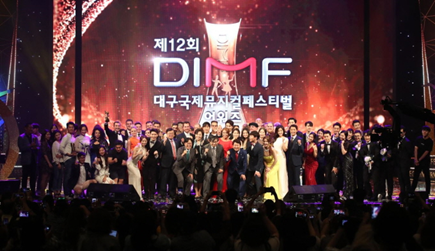 Starting with the opening performance of the 5th DIMF, it participated in China’s Dongguan Musical Festival and Shanghai China International Arts Festival as Korea’s best creative musical. ○ In particular, the license for Musical Turandot was sold to the Nova Scena (New Stage Theater), the Slovak national theater, in September last year, becoming the first Korean musical to target Europe. Next year, the musical will advance into the Asian market, including China and Taiwan, aiming to become the No. 1 musical in Asia. □ The DIMF will also foster its side event DIMFringe to become a major street performance event and develop it as a performance content that promotes a win-win relationship between Daegu and Gyeongsangbuk-do. □ The DIMF will also strengthen its musical performance content project, such as musical gala street performances, to provide people with easier access to musicals. □ This year, the Daegu Metropolitan City plans to create a solid growth engine by establishing the DIMF brand and securing a share of the art market to become the best musical city in the country.